Hello again Fabfreebers! Do you have an open group slot and are interested in free group gifts? Do you like my dress? If you said yes to both of those, than you need to join the Amazing Creations group. My cute tunic dress is one of many free group gifts you can pick up after joining their group. In this particular gift, you actually get 2 versions of this dress, the one I am showing off, and another with a similar black and white print on it. They are mesh, and come in the standard sizes. As much as I love lots of colour, there is something to be said for a great black and white dress that allows little pops of colour from your accessories, to really shine. The Amazing Creations group is free to join, and there are loads of group gifts, for both men and ladies, as well as several group lucky letter chairs. Just make sure you have your tag on to take advantage of it all. Categories: dress, Free, group gifts, groups, mesh | Tags: Amazing Creations, Calleja Fairey, elephante poses, fab free, fabfree, fabulously free in SL, fashion, Fifty Linden Friday, Ikon, Ingenue, Kokolores, Marektplace, Pink Fuel, Second Life, sl, SLink, Soiree, Solar Eyewear, Tuli, Virtual Impressions | Permalink. Exclusively Yours has a Steal of a Deal…or Deal of a Steal? So, I was a bit of a tease last night, and only mentioned grabbing a dress from Exclusively Yours as a Steals and Deals offer instead of showing it to you, but I did say I would be back today to show it to you. Almost all of this lovely outfit I am wearing is included when you buy the Morgan outfit from Exclusively Yours. For the low price of L$55, you get this gorgeous 1 piece mesh tube top and maxi skirt, which comes in the standard sizes, as well as a fitted mesh version, the matching shoulder bag, the many bangled bracelet, and the stiletto shoes with built-in feet, and a skin matching hud. Oh! I almost forgot, there is also a Lola’s applier for the top for all you meshy bits lovers. That’s a pretty good deal if I do say so! All I needed to do was search through my inventory for a necklace and earrings, and my look was complete. I love when everything you need is all in one folder. LOL. Steals and Deals offers only run from Friday to Monday, so while you do still have some time to grab this beauty, you don’t have too much time. If this look is not totally to your taste, there are a few other offers, all full outfits, and all for the same L$55 price, so I suggest heading over to Exclusively Yours anyways. Categories: accessories, dress, events, fitted mesh, jewelry, mesh, shoes | Tags: (marukin), Al Vulo, Alaskametro, BLINDED, Calleja Fairey, Chaos Panic & Disorder, Exclusively Yours, Exile, fab free, fabfree, fabulously free in SL, fashion, Ikon, Insanya!, Marketplace, Second Life, sl, SLink, Steals and Deals, The Arcade, Ticky Tacky, Virtual Impressions, Yummy | Permalink. Oh! How I love Friday!! Friday means Fifty Linden Friday stops for me, first thing in the morning. Mostly I run from shop to shop down the list while I am multi-tasking putting on my face in the morning getting ready for work or skipping breakfast or something lol. FLF is worth one side of my face being un-mascaraed or those 10 AM hungry tummy growls. This morning I picked up the FLF items at Glam Affair and Junbug and boy am I glad I did! Junbug has two of their Ophelia Dresses out in Floral and Polka, priced at 50L each. Above I am wearing Floral, and below the Polka. For this week’s Fifty Linden Friday offer, Glam Affair has out their Cocktail Girls Duo including the Kallista and Oakley Skins in the Asia skintone. You get both skins for one price of 50L and there are several eyebrow options included. What a deal! Don’t forget the FLF items are only available for one day only!! The Janice Jewelry Set is a free group gift at Virtual Impressions and looks lovely both with formal and less formal attire. This set comes with the necklace and matching earrings (which are a little hard to see in my pictures – sorry!). This group is free to join, and while you are there make sure you grab the freebie box by the stairs too! Categories: accessories, costumes, dress, events, fantasy, formalwear, gacha, groups, jewelry, mesh, skins | Tags: 0L, 50L, Baja Norte, Collabor88, fab free, fabfree, fabulously free in SL, Fantasy Gacha, Fifty Linden Friday, FLF, free in sl, free jewelry SL, freebies sl, gacha, Glam Affair, Glitterati, group gift, Ikon, Infiniti, junbug, lamb, Love Trill, Second Life, sl, SLink, Virtual Impressions | Permalink. 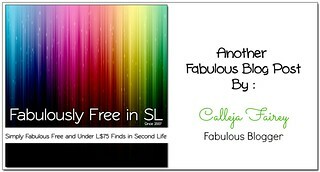 **Each day, here on the FabFree Blog, we will be featuring one of our Fabulously Free in SL in-world designers. Photos are the work of the designers. 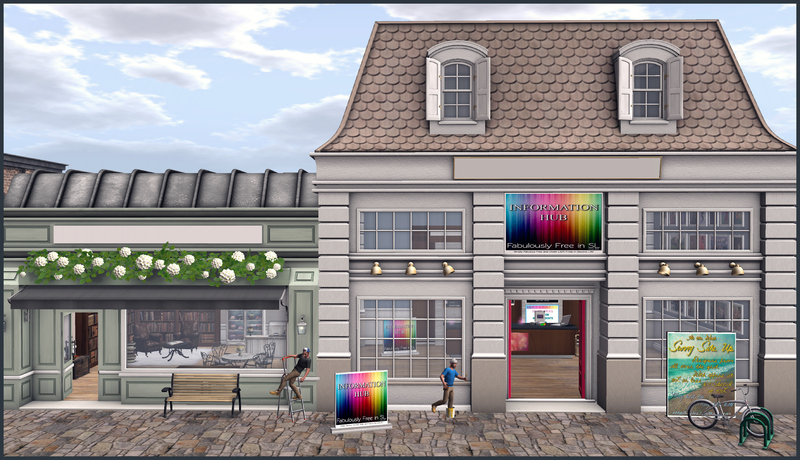 Categories: FF Designer Of The Day, groups, jewelry | Tags: 0L, Designer of the Day, fab free, fabfree, fabulously free in SL, free in sl, group gift, Second Life, sl, Virtual Impressions | Permalink. 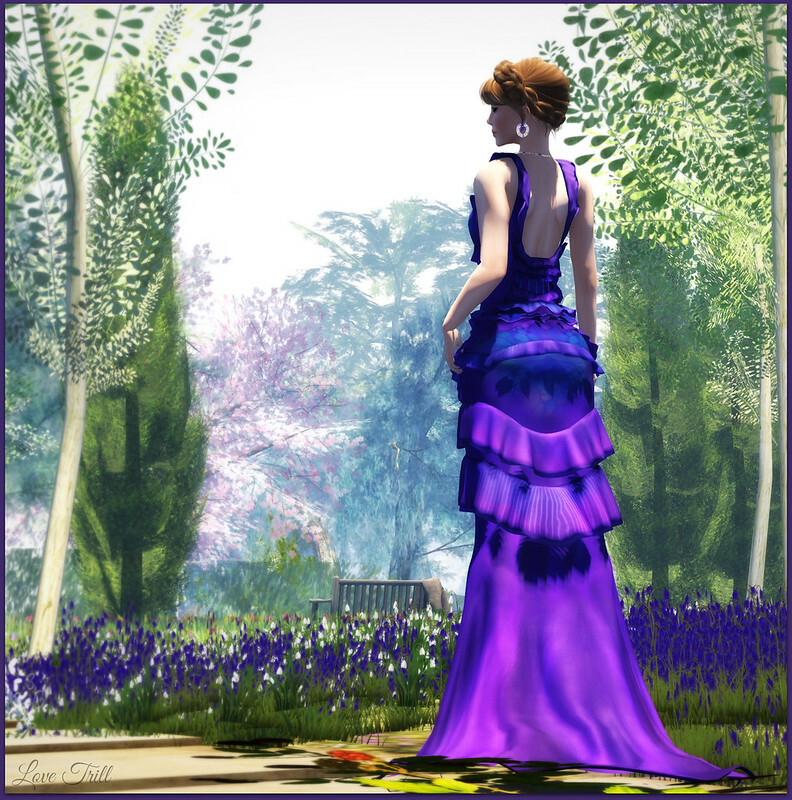 The other day while I was inworld, a message from a member came up in the FabLucky group with information that Evie’s Closet had an amazing gown up on their midnight mania board. I ran down there as fast as my pixel feet would take me to give it a slap! 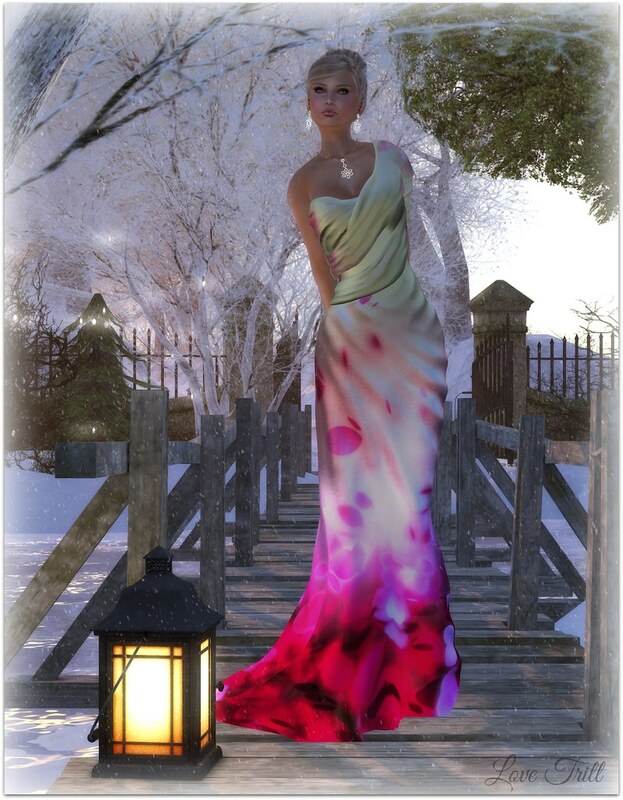 After it had locked down, I was sent the stunning Nimue Gown – Incantation you see me wearing today. There is just nothing blah about this gown! It is just as marvelous from the back as it is from the front! 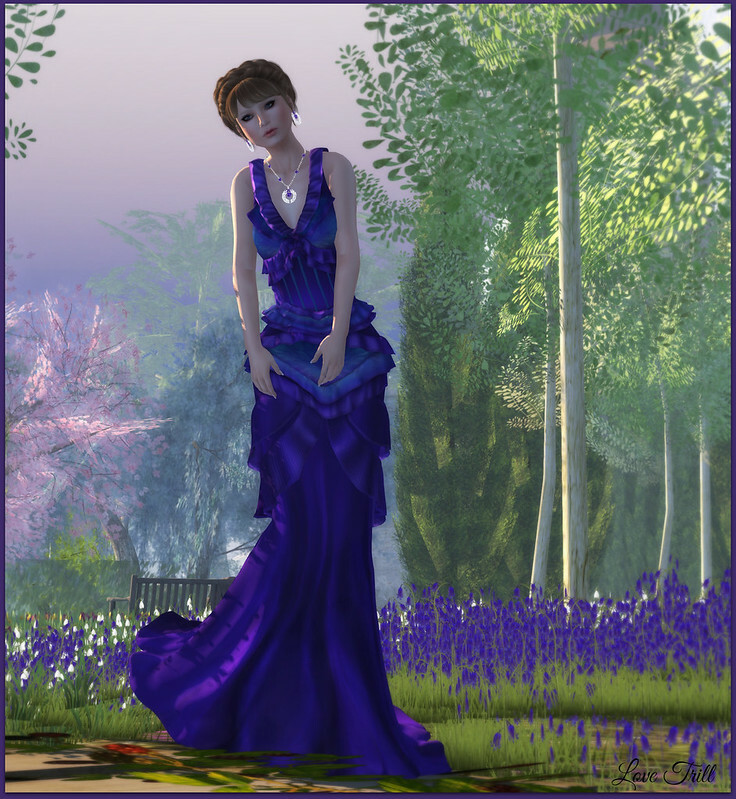 The Laura Jewelry Set in Tanzanite & Diamonds I am wearing with my Nimue Gown can be found as a free group gift at Virtual Impressions, including the necklace and earrings. 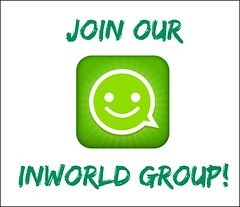 This group is free to join. Categories: dress, formalwear, groups, jewelry, mesh, midnight mania | Tags: 0L, Evie's Closet, fab free, fabfree, fabulously free in SL, free in sl, freebies sl, Glam Affair, Glitterati, group gift, Ikon, Laviere, Love Trill, midnight mania, MM board, Second Life, sl, SLink, Small Town Green, Virtual Impressions | Permalink. Today, I received a whole folder full of goodies from ColdLogic via the subscribomatic. Inside the folder was the Season’s Greetings Dress shown above in the colours of Cocoa (worn), Berry, Pine & Silver. Also in the folder was is the Happy Holidays Shirt in Cocoa (worn), Berry, Pine & Silver as well as the Happy Holidays Skirt in Brown (worn, Grey, Blue & Black. I added to these outfits the Bernice Bracelets & Ring in Copper & Pink Diamonds that I picked up in day 7 of the Virtual Impressions Advent Calendar. This calendar is a group calendar, so you will need to join, but it’s free! Categories: december advent, dress, events, groups, jewelry, mesh, shirt, skirt, subscribe-o-matic | Tags: 0L, Advent, Atooly, ColdLogic, fab free, fabfree, fabulously free in SL, Flash Friendly, free in sl, freebies sl, Ikon, Inspiration point, Love Trill, new release, PXL creations, Second Life, sl, sl free, SLink, subscribo gift, TRUTH, Virtual Impressions | Permalink. I picked up the Lace Earrings w/ Chocolate Pearls in day #13 of the group advent calendar at Virtual Impressions and the matching Lace Necklace w/ Chocolate Pearls the very next day on day #14. You will need to join the group to participate in this advent calendar, but it’s free 😉 You can join today and pick up all of the previous day gifts, and while you are there you may as well grab their group gift too! Categories: december advent, dress, formalwear, groups, hunts, jewelry, mesh | Tags: 0L, 100L, Advent, Baboom Couture, fab free, fabfree, fabulously free in SL, free hunt sl, Ikon, Love Trill, Peace On Earth Hunt, Ploom, POE6, PXL creations, Second Life, sl, sl hunt, Virtual Impressions, Winter Moon | Permalink. Good morning Fabulouses! Hawker’s House has big news! They have placed out a head turning Ladies Mesh Ball Gown in Ruby Velvet (also a very handsome tuxedo for the guys!) as a free group gift and have opened up enrollment to their VIP group so that you may join for free until January. 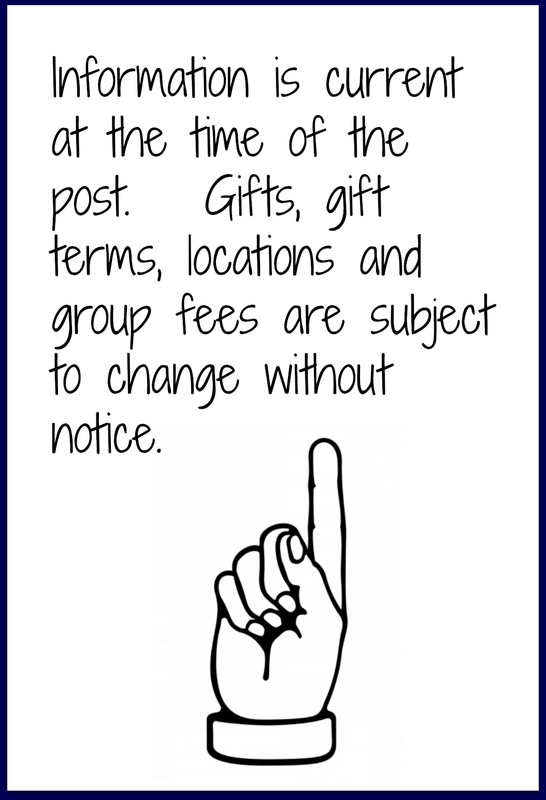 The group fee will go up, so make sure you stay in the group for their future offers. I picked up the Bells Earrings & Necklace Set in the group advent calendar at Virtual Impressions. You will need to join the free group to pick it up, but you can join today and pick up all of the previous days worth of gifts too! This set is found in Day 2. Categories: december advent, dress, formalwear, groups, jewelry | Tags: 0L, fab free, fabfree, fabulously free in SL, free in sl, freebies sl, Glitterati, group gift, Hawker's House, Ikon, Julie's Winter Wonderland, Love Trill, PXL creations, Second Life, sl, SLink, TRUTH, Virtual Impressions | Permalink. Thankfully, I did get these two items right. The huge rock on my finger is also from !Rebel Hope Designs, and really IS free (I checked)! It’s got a little fall leaf on it, and is perfect for your autumn proposal, guys (hint, hint). 😉 Look for the gift box outside the store, next to the Ginger gown. Also free are my earrings, which you can find in a gift box at Virtual Impressions. I’m off to drink some warm milk, watch a really boring TV show, and pray for sleep before I injure my self or others… sweet dreams! 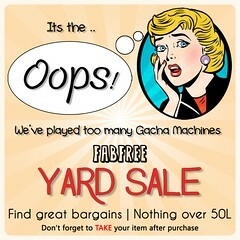 Categories: accessories, dress, groups, jewelry, other | Tags: aDORKable Poses, fab free, fabfree, fabulously free in SL, Glam Affair, hopscotch, Ikon, Izzie's, Rebel Hope Designs, Redgrave, Second Life, Serena Snowfield, sl, SLink, TRUTH, Tuli, Virtual Impressions | Permalink. Oooohh I can’t help myself, just one more post today! You must be wondering to yourselves, “just how many times in a day does that woman change her pixel clothes?”. Seriously – SEVERAL times. It’s one of my favourite things to do in SL! It’s creative and relaxing, and nothing like in RL when you go in a change room with a billion things, and come out looking like a worn out, washed up space creature with static cling hair. I suppose I could have waited until tomorrow to show you the Golden Aussie Spring Corset Gown that you can find at Paris Metro Couture in Sidney, Australia as a free group gift, but if I had waited another day, the matching Cindi Jewelry Set in Lemon Pearls that Virtual Impressions currently has set out as a free group gift, may not be available. I think they usually switch their group gifts out on the weekend, and it is Friday night. I wasn’t about to take any risks! Anyways, both of these groups are free to join! Sweet dreams, Fabulouses! Love Trill = Out! Really this time. I promise… You won’t see me until tomorrow! 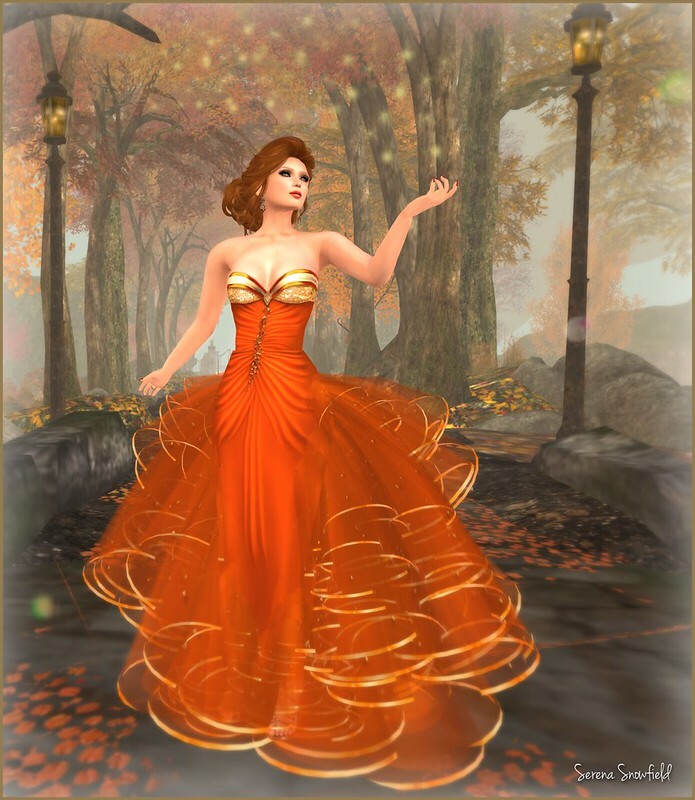 Categories: dress, groups, jewelry | Tags: 0L, Exile, fab free, fabfree, fabulously free in SL, free in sl, freebies sl, group gift, Ikon, Love Trill, Mirrors Enigma, Paris Metro, Second Life, sl, Virtual Impressions | Permalink.